Circulation is the movement of substances such as nutrients and gases within blood vessels and cavities throughout the body. 2. Do all animals have a circulatory system? Not all animals have a circulatory system. Poriferans, cnidarians, platyhelminthes and nematodes (nematodes have pseudocoelom fluid but no vessels) are avascular animals. Echinoderms do not have true circulatory systems either. 3. What is the alternative means of substance transport in animals without a circulatory system? Why is blood important for larger animals? In animals that do not contain a circulatory system, the transport of substances occurs by cell to cell diffusion. Blood is a fundamental means of substance transport for larger animals since, in these animals, tissues are distant from each other and from the environment thus making diffusion impossible. 4. What are the two types of circulatory systems? Circulatory systems can be classified into open circulatory systems and closed circulatory systems. 5. What is an open circulatory system? An open circulatory system is one in which blood does not circulate only inside blood vessels but also flows into cavities that irrigate tissues. In open circulatory systems, blood pressure is low and generally the blood (called hemolymph) has a low level of cellularity. Arthropods, molluscs (cephalopods are exception) and protochordates have open circulatory systems. 6. What is a closed circulatory system? A closed circulatory system is one in which blood circulates only inside blood vessels. For this reason, the blood pressure is higher in animals with closed circulatory systems. The cellularity of the blood is also higher, with many specific blood cells. Closed circulatory systems are a feature of annelids, cephalopod molluscs and vertebrates. 7. What are the advantages of a closed circulatory system over an open circulatory system? A closed circulatory system is more efficient. Since blood circulates only inside blood vessels, it has a higher pressure and, as a result, can travel greater distances to the organs where hematosis happens and to peripheral tissues. In addition, the higher circulatory speed increases the animal’s capacity to distribute large supplies of oxygen to tissues that consume it in large amounts, such as muscle tissues, which can then perform faster movements. Animals with an open circulatory system (with the exception of insects, which carry out gas exchange separately from circulation) are generally slower and have a low metabolic rate. 8. What is the difference between octopuses and mussels regarding their circulatory systems? How does that difference have an effect on the mobility of these animals? Cephalopod molluscs, such as octopuses and squids, have a closed circulatory system with blood pumped under pressure flowing within vessels. Bivalve molluscs, such as mussels and oysters, have an open circulatory system (also known as a lacunar circulatory system) where blood flows under low pressure, since it falls into cavities in the body and does not only circulate within blood vessels. Molluscs with closed circulatory systems are larger, agile and can actively move; molluscs with open circulatory systems are smaller, slow and some are practically sessile. 9. Why can flying insects such as flies beat their wings at a great speed despite having an open circulatory system? In insects, the circulatory system is open but this system does not participate in the gas exchange process or in oxygen supply to tissues. Gases enter and exit through the independent tracheal system, which allows for the direct contact of cells with the ambient air. Therefore, an insect can supply the large oxygen demand of its fast-beating wing muscles even though it has an open circulatory system. 10. What are the typical components of a closed circulatory system? The typical components of a closed circulatory system are blood vessels within which blood circulates (arteries, veins and capillaries), a pumping organ (heart) and blood or bloodlike fluid. 11. How does the heart pump blood? The heart is a muscular organ that contains chambers (right atrium and right ventricle and left atrium and left ventricle) through which blood passes. The blood enters the heart in the atria, goes to the ventricles and then leaves the organ. The blood is pumped out of the heart by the contraction of the muscle fibers that form the ventricular walls. The contraction reduces the volume of ventricle, thus increasing the internal pressure and forcing the blood to flow to the exit vessels (the pulmonary artery for the right ventricle and the aorta for the left ventricle). When ventricular muscle fibers expand, the ventricles regain their original size and receive new blood flow from the atria. 12. What is the difference between systole and diastole? Systole and diastole are the two stages into which the cardiac cycle is divided. Systole is the stage when the contraction of ventricular muscle fibers occurs and the ventricles are emptied. Diastole is the stage of the cardiac cycle when the ventricular muscle fibers expand and the ventricles are filled with blood. 13. What are arterial vessels, arteries and arterioles? Arterial vessels are every blood vessel that carries blood from the heart to tissues. Arteries and arterioles are arterial vessels. Arterioles are thin arteries that end in capillaries. However, not all arteries contain arterial blood (highly oxygenated blood). The pulmonary artery and its branches, arteries that carry blood from the right heart ventricle to the lungs, contain venous blood. 14. What are venous vessels, veins and venules? Venous vessels are every blood vessel that carries blood from tissues to the heart. Veins and venules are venous vessels. Venules are thin veins connected to capillaries. In general, venous vessels carry venous blood. However, the pulmonary veins that carry blood from the lungs to the left atrium of the heart contain arterial blood. 15. What are the capillaries of the vascular system? Capillaries are small blood vessels that carry out the exchange of substances between the blood and body tissues. Capillaries are neither arteries nor veins since they have distinct features. In capillaries, the wall is made of a single layer of endothelial cells through which substances are exchanged. These vessels receive blood from arterioles and drain into venules. 16. What part of the vascular system carries out the exchange of gases and other substances between tissues? Only capillaries carry out the exchange of gases and other substances between tissues. 17. Which contain more muscle tissue, arteries or veins? How different are the walls of these two types of blood vessels? The arterial system has thicker muscle walls, since within arteries blood circulates under higher pressure. Veins are more flaccid than arteries. From the lumen to the external layer, both types of vessels are made of endothelium, muscle tissue and connective tissue. The endothelium of both is made up of a single layer of cells. In arteries, the muscle tissue portion is thicker than in veins whereas, in veins, the external connective tissue is thicker than in arteries. Arteries are pulsating blood vessels. The arterial pulse can be felt during a medical examination, for example, through the palpation of the radial artery in the internal-lateral face of the wrist near the base of the thumb. 18. What are the valves of the venous system? What is their function? The valves of the venous system are structures inside veins that make it so that blood only flows in the right direction (from tissues to the heart). preventing it from going backwards in favor of gravity. The valves close when the pressure of the fluid column above (afterwards, in terms of normal flow) is higher than the fluid pressure below them. 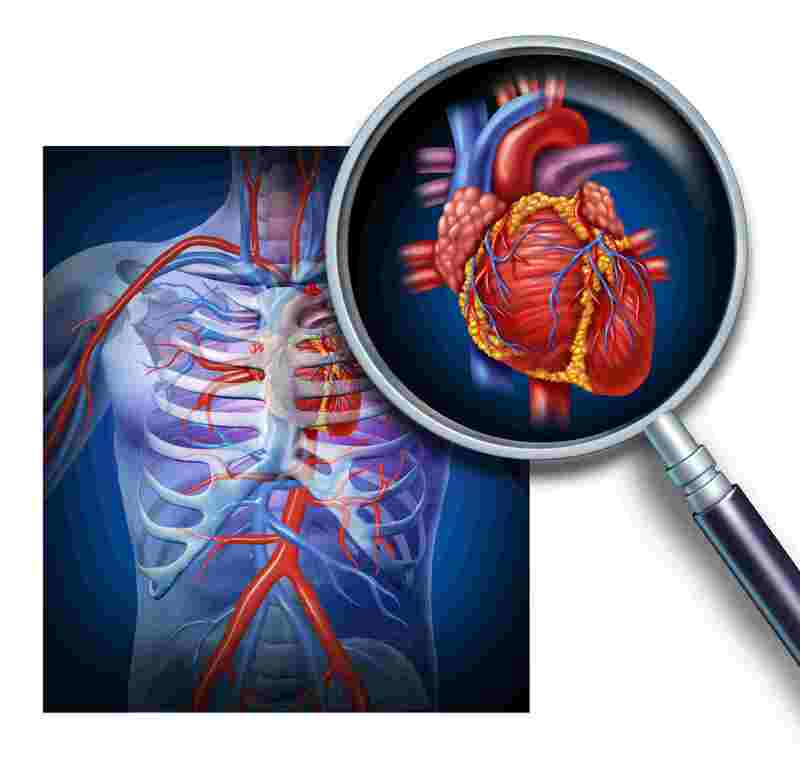 Valves are therefore necessary for the process of blood returning to the heart. 19. How do the muscles of the legs and feet contribute to venous return? The muscles of the legs, and mainly the muscles of the calves, contract and compress the deep veins of the legs, pushing blood towards the heart. The plantar portion of the foot holds blood and, when it is pushed against the ground, it pushes its blood volume back towards the heart and therefore aids in venous return. 20. What are varices? Why are they more common on the lower limbs? A varix means is an abnormal enlargement of a vein. Varices occur when excessive pressure against the normal blood flow enlarges the vein and, as a result, causes its valves to stop working properly (venous insufficiency). Varices are more common in the veins of the lower limbs since the fluid column above these vessels is higher. This is the reason why people who spend a large amount of time standing (e.g., surgeons) are more likely to develop varices. 21. What is the lymphatic system? The lymphatic system is a network of specialized vessels with valves, which drains interstitial fluid (lymph). The lymphatic system is also responsible for the transport of chylomicrons (vesicles that contain lipids) produced after the absorption of fats by the intestinal epithelium. Along lymphatic vessels are ganglial-like structures called lymph nodes. which contain many immune system cells. These cells filter impurities and destroy microorganisms and cellular waste. The lymphatic vessels drain to two major lymphatic vessels, the thoracic duct and the right lymphatic duct, which in turn drain into tributary veins of the superior vena cava. 22. Why may clinical signs regarding the lymphatic system be observed during inflammatory and infectious conditions? The lymph nodes, or lymph glands, have lymphoid tissue that produces lymphocytes (a type of leukocyte). In inflammatory and infectious conditions, it is common to see the enlargement of lymph nodes in the lymphatic circuits that drain the affected region due to the reactive proliferation of leukocytes. This enlargement is known as lymphadenomegaly and is sometimes accompanied by pain. Checking for enlarged or painful lymph nodes is part of medical examinations since these findings may suggest inflammation, infection or other diseases. 23. What chambers of the heart does blood enter? From which does it exit the heart? The chambers of the heart through which blood enters are the atria. There heart contains a right atrium and a left atrium. The chambers of the heart through which blood exits are the ventricles. The heart contains a right ventricle and the a ventricle. 24. Concerning the thickness of their walls, how different are the chambers of the heart? The walls of the ventricle are thicker than those of the atrium, since the ventricles are the structures responsible for the pumping of the blood to the lungs or tissues. The muscular work of the ventricles is harder and their muscle fibers are more developed. The left ventricle is more muscular than the right ventricle, because pumping blood to the lungs (the task of the right ventricle) is easier (an requires less pressure) than pumping blood to the other tissues of the body (the task of the left ventricle). 25. What are the vena cava? What type of blood circulates within the vena cava? The vena cava are two large veins that empty into the right atrium. The superior vena cava drains all the blood that comes from the head, the upper limbs, the neck and the upper portion of the trunk. The inferior vena cava carries blood drained from the lower portion of the trunk and the lower limbs. Venous blood circulates within the vena cava. 26. Which chamber of the heart does blood enter first? Where does blood go after passing through that chamber? What is the name of the valve that separates the chambers? Why is that valve necessary? Venous blood from tissues arrives at the right atrium of the heart. From the right atrium, the blood goes to the right ventricle. The valve that separates the right ventricle from the right atrium is the tricuspid valve (a valve system made of three leaflets). The tricuspid valve is necessary to prevent blood from returning to the right atrium during systole (the contraction of the ventricles). 28. What is the name of the valve that separates the right ventricle from the pulmonary artery? Why is that valve important? The valve that separates the right ventricle from the base of the pulmonary artery is the pulmonary valve. The pulmonary valve is important in preventing blood from pulmonary circulation from flowing back into the heart during diastole. 29. Do the arteries that carry blood from the heart to the lungs contain arterial or venous blood? What happens to blood when it passes through the lungs? Arteries of the pulmonary circulation carry venous blood and not arterial blood. When blood goes through the alveolar capillaries of the lungs, hematosis (oxygenation) occurs and carbon dioxide is released to the exterior. 30. What are pulmonary veins? How many are there? Pulmonary veins are part of the pulmonary circulation. They are vessels that carry oxygen-rich (arterial) blood from the lungs to the heart. There are four pulmonary veins, two that drain blood from the right lung and two that drain the left lung. The pulmonary veins empty into the left atrium, supplying the heart with arterial blood. Although they are veins, they carry arterial blood and not venous blood. 31. What chamber of the heart does blood enter after leaving the left atrium? What valve separates these chambers? The arterial blood that has gone from the lungs to the left atrium then goes on to the left ventricle. The valve between the left ventricle and the left atrium is the mitral valve, a bicuspid (two leaflets) valve. The mitral valve is important because it prevents blood from flowing back into the left atrium during systole (the contraction of the ventricles). 32. What is the function of the left ventricle? Where does the blood go after leaving the left ventricle? The function of the left ventricle is to receive blood from the left atrium and to pump the blood under high pressure into circulation. After leaving the left ventricle, the blood enters the aorta, the largest artery of the body. 33. What valve separates the aorta from the heart? What is the importance of that valve? The valve between the left ventricle and the aorta is the aortic valve. The aortic valve prevents blood from flowing back into the left ventricle during diastole. In addition, as the aortic valve closes during diastole, part of the reverse blood flux is pushed through the coronary ostia (openings), holes located in the aorta wall just after the valvular insertion and which are connected to the coronary circulation, which is responsible for supplying blood to cardiac tissues. 34. Is ventricular lumen larger during systole or diastole? Systole is the stage of the cardiac cycle during which the ventricles contract. Therefore, the lumen of these chambers is reduced and the pressure on the blood within them is increased. During diastole, the opposite occurs. The muscle fibers of the ventricles relax and the lumen of these chambers enlarges, allowing the entrance of blood. 35. During what stage of the cardiac cycle are the ventricles filled with blood? The ventricles are filled with blood during diastole. 36. What type of tissue is the heart composed of? How is this tissue oxygenated and supplied with nutrients? The heart is made of striated cardiac muscle tissue. The heart muscle is called the myocardium and it is oxygenated and supplied with nutrients by the coronary arteries. The coronary arteries come from the base of the aorta and branch out around the heart, penetrating the myocardium. Diseases of the coronary arteries are severe conditions. 37. What are the two main metabolic gases transported by blood? The main metabolic gases transported by blood are molecular oxygen (O₂) and carbon dioxide (CO₂). 38. How do respiratory pigments work? Respiratory pigments are oxygen-carrying molecules present in blood. When the oxygen concentration is high, for example, in the pulmonary alveoli, respiratory pigments bind to the gas. In conditions of low oxygen concentration, such as in tissues, the respiratory pigments release the molecule. The respiratory pigment of human blood is hemoglobin, which is present within red blood cells. 39. How different are oxyhemoglobin and hemoglobin? Where are you more likely to find a higher concentration of oxyhemoglobin, in peripheral tissues or in the lungs? Oxygen-bound hemoglobin is called oxyhemoglobin. In the lungs, the oxygen concentration is higher and, as a result, there is a higher concentration of oxyhemoglobin . In peripheral tissues, the situation is the reverse, as the concentration of oxygen is lower and there is more free hemoglobin. 40. What is hemoglobin F? Why does the fetus need a different type of hemoglobin? Hemoglobin F is the hemoglobin found in the fetus of mammals whereas hemoglobin A is normal hemoglobin. Hemoglobin F has a greater affinity to bind to oxygen. The fetus needs hemoglobin capable of extracting oxygen from the mother’s blood. Therefore, the fetus uses hemoglobin F since it has greater affinity for oxygen than the mother’s hemoglobin. 41. At high altitudes, is it necessary for blood to contain more or less hemoglobin? At high altitudes, the air has lower pressure and the concentration of oxygen is lower than at low altitudes. In this situation, the efficiency of the respiratory system must be greater and therefore the body synthesizes more hemoglobin (and more red blood cells) in an attempt to obtain more oxygen. This phenomenon is known as compensatory hyperglobulinemia. Compensatory hyperglobulinemia is the reason why athletes who will compete at high altitudes need to arrive there a few days before the event so that there is time for their body to make more red blood cells, thus allowing them to be less affected by the effects of the low atmospheric oxygen concentration (fatigue, reduced muscular strength). 42. What substance stimulates the production of red blood cells? Which organ secretes it? Under what conditions is it secreted at higher rates? The substance that stimulates the production of red blood cells by the bone marrow is erythropoietin. Erythropoietin is a hormone secreted by the kidneys. Its secretion is increased when there is a deficiency in tissue oxygenation (tissue hypoxia) caused by either reduced oxygen availability (as is the case at high altitudes) or by internal diseases, such as pulmonary diseases. 43. Why is carbon monoxide toxic to humans? Hemoglobin “likes” carbon monoxide (CO) much more than it likes oxygen. When carbon monoxide is present in the inhaled air, it binds to hemoglobin to form carboxyhemoglobin by occupying the binding site where oxygen would normally bind. Due hemoglobin's greater affinity for carbon monoxide (for example, in intoxication from car exhaust) there is no transportation of oxygen and the individual undergoes hypoxia, loses consciousness, inhales more carbon monoxide and may even die. Intoxication by carbon monoxide is an important cause of death in fires and closed garages. 44. During what stage of cellular respiration is carbon dioxide released? In aerobic cellular respiration, the release of carbon dioxide happens during the transformation of pyruvic acid into acetyl-CoA (two molecules) and during the Krebs cycle (four molecules). For each glucose molecule, six carbon dioxide molecules are produced. 45. How is carbon dioxide released by cellular respiration transported from tissues to be eliminated through the lungs? In vertebrates, almost 70% of this carbon dioxide is transported by the blood in the form of bicarbonate, 25% is bound to hemoglobin, and 5% dissolved in the plasma. 46. What is the difference between double closed circulation and simple closed circulation? Double closed circulation, or closed circulation, is that when blood circulates through two associated and parallel vascular systems: one that carries blood to peripheral tissues and transports aways from them (systemic circulation) and another that carries blood to the tissues that perform gas exchange with the environment (pulmonary circulation) and then transport this blood way from them. Double circulation occurs in amphibians, reptiles, birds and mammals. Simple closed circulation, or simple circulation, is when the tissues that perform gas exchange are connected in series to the systemic circulation, such as in fish. 47. How many chambers does the fish heart have? The fish heart is a tube made of two consecutive chambers: one atrium and one ventricle. 48. Does the fish heart pump venous or arterial blood? The venous blood from tissues enters the atrium and goes on to the ventricle, which then pumps the blood towards the gills. After oxygenation in the gills, the arterial blood goes to the tissues. Therefore, the fish heart pumps venous blood. 49. Why is the circulatory system of fish classified as simple and complete circulation? Complete circulation is when there is no mixture of venous and arterial blood. Simple circulation is when blood circulates only in one circuit (as opposed to double circulation, which contains two circuits, the systemic circulation and pulmonary circulation). In fish, the circulatory system is simple and complete. 50. How many chambers does the amphibian heart have? The amphibian heart has three heart chambers: two atria and one ventricle. 51. Why can amphibian circulation be classified as double and incomplete? Amphibian circulation is double because it consists of systemic and pulmonary circulation: that is, heart-tissues-heart and heart-lungs-heart, respectively. Since amphibians have only one ventricle in their heart, venous blood taken from the tissues and arterial blood coming from the lungs are mixed in the ventricle, which then pumps the mixture back into systemic and pulmonary circulations. Amphibian circulation is considered incomplete because venous and arterial blood mix in the circuit. Blood oxygenation in amphibians also occurs in systemic circulation, since their skin is a gas exchange organ. 52. What is the difference between the amphibian heart and the reptile heart? Reptiles also have double and incomplete circulation, with a heart that contains three chambers (two atria and one ventricle). However, the reptile heart presents the beginning of a ventricular septation that partially separates the right and left region of the chamber. With this partial ventricular septation, there is less mixture of arterial with venous blood among reptiles than among amphibians. 53. How many chambers do the hearts of birds and mammals have? Concerning temperature maintenance, what is the advantage of the double and complete circulation of these animals? Bird and mammal hearts are divided into four chambers: the right atrium, the right ventricle, the left atrium and the left ventricle. Birds and mammals are homeothermic, meaning that they control their body temperature. Their four-chambered heart and double circulation provide tissues with more oxygenated blood, making a higher metabolic rate possible (mainly cellular respiration rate). Part of the energy produced by cellular respiration is used to maintain body temperature. 54. Concerning the mixture of arterial with venous blood, what is the difference between human fetal circulation and adult circulation? In human fetal circulation, there are two points at which arterial and venous blood are mixed, which characterizes this as an incomplete circulation. One of them is the oval foramen, an opening between the right and the left atria of the fetal heart. The other is the arterial duct, a short vessel that connects the pulmonary artery to the aorta. These points close a few days after birth and as a result are not present in the adult heart. 55. What causes the heart to contract? Heart contraction is independent from neural stimulus (although it can be regulated by the autonomous nervous system). The heart contains pacemaker cells that independently trigger the action potentials that begin muscle contraction. These cells are concentrated at two special points in the heart: the sinoatrial node (SA node), located in the upper portion of the right atrium, and the atrioventricular node (AV node), located near the interatrial septum. The repolarization of the SA node makes the atria relax, with the ventricles relaxing afterwards. Study the next subject: go to Excretory System.